Important information: a number of factors may impact your ability to scuba dive including if you are flying within 24 hours of your dive and some medical conditions. All divers are required to fill out a questionnaire before they are cleared to dive. Please view the questionnaire by clicking here and be sure to discuss with us anything that may prevent you from diving prior to making your reservation. Date changes are permitted up to 48 hours prior to departure (dependent on availability). Please check our full cancellation policy here. Hotel pickups can be arranged from most accommodation providers in Cairns at an additional cost to be paid in cash on board on the day. If you require a hotel pickup, please select your accommodation location from the drop-down menu when you book. If you cannot find your accommodation in the list, please contact us and we can advise you of the closest location. This Great Barrier Reef Tour is a great way to see one of the world’s most fascinating destinations. 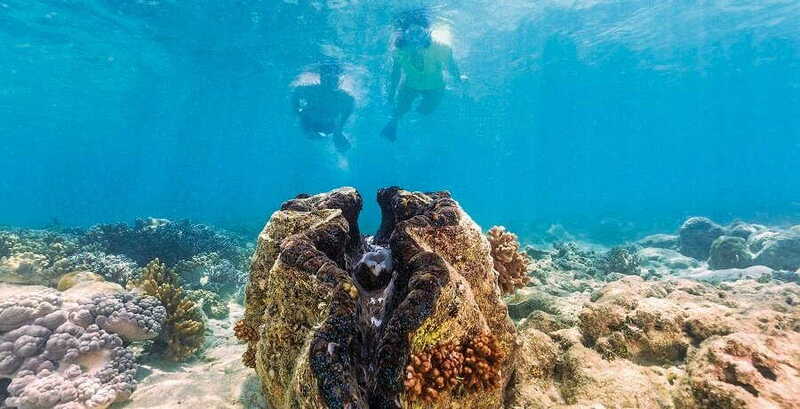 On the spectacular Great Barrier Reef Tour experience a breathtaking coral reef in pristine blue waters that are teaming with colourful and unusual marine life. Meet the tour at the Marlin Jetty or for a small price choose the optional pick up / drop off service to start your unforgettable day. Boarding at 7:30am you will be greeted with complimentary fruit platters, tea and coffee. At 8:00am we start the cruise to the Outer Reef. Whilst on route, learn how to use snorkelling and dive equipment from the experts with a comprehensive equipment demonstration. You will arrive at your first Great Barrier Reef site, Hastings Reef, at approximately 10:30am. 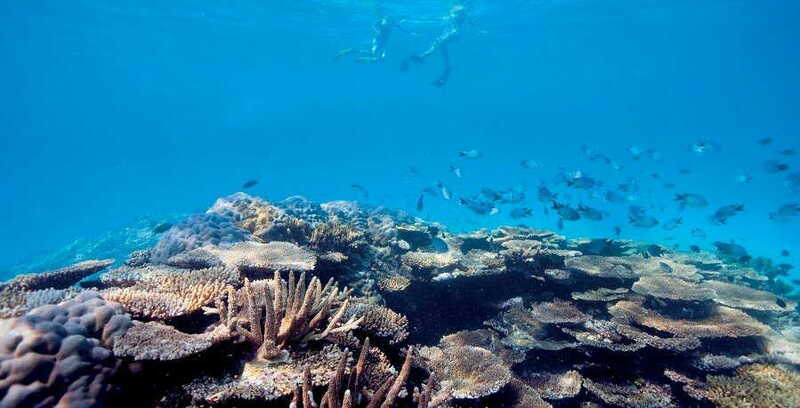 Hasting Reef is a colourful coral reef filled with unusual and captivating marine life. Take advantage of the free use of snorkelling equipment to explore the reef or try one of our optional upgrades which includes touring the reef on a glass bottom boat, a certified dive or a beginner’s dive (no experience necessary). After 2 hours of fun on the Great Barrier Reef you will be sure to have worked up an appetite. Enjoy a delicious BBQ (with an assortment of salads) on the vessel before heading to the second reef site Breaking Patches. Breaking Patches is an area of shallow lagoons inhabited by many turtles. Once again you can explore the new reef site with the use of snorkelling equipment or choose to upgrade to a certified or beginners dive. Returning home from the Reef is anything but boring, as you take in the spectacular views and even try some exhilarating Boom Netting or just relax, with a complimentary glass of wine and a cheese platter. 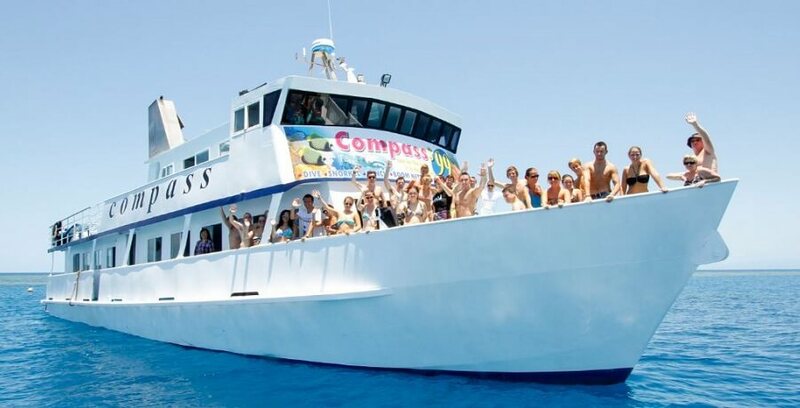 This is the best value Great Barrier Reef Tour on offer! 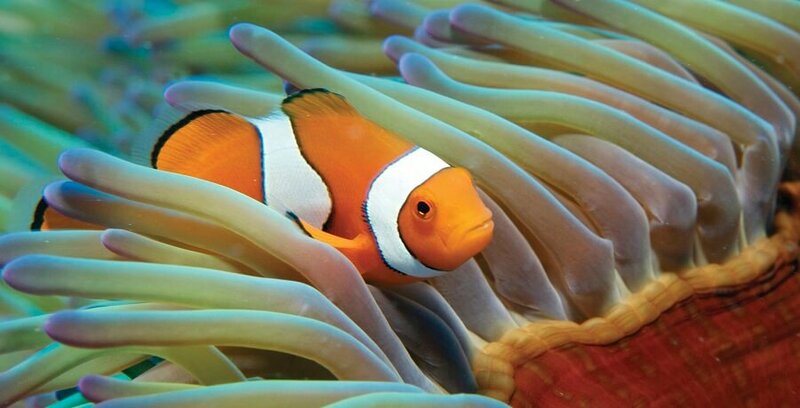 The Great Barrier Reef is great for the whole family. This tour is perfect for children as it offers great value and optional extras that can be tailored to meet the needs and interests of adults and children alike. 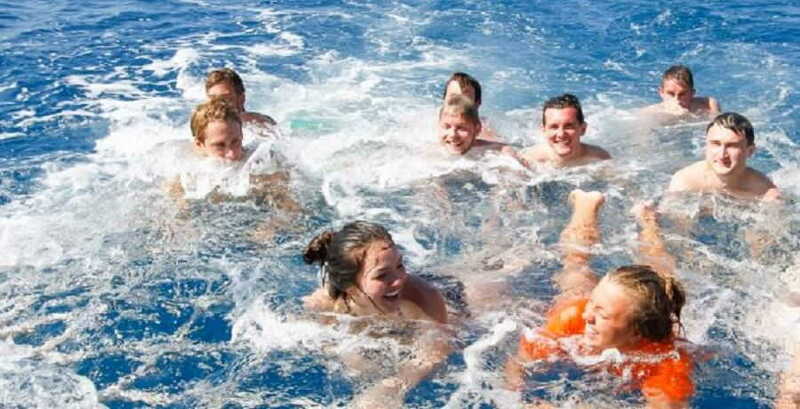 If you child is not overly confident in the water, then a glass bottom boat tour of the reef is perfect. However, it would be worth getting them out into the water. Flotation devices are provided and the utmost care and safety is taken at all times. Our friendly crew are always there to help non-confident swimmers. 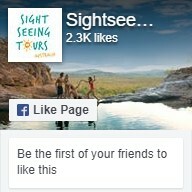 Planning on exploring the Daintree Rainforest as well? Check out the Cairns Tours Package to join the Great Barrier Reef Tour and 1 Day Cape Tribulation & Daintree Tour with Mossman Gorge for $250.